... and i even managed to get more of the cobbler's monster drawn. Great use of form and color in these pieces. As for the Oscars, My problem with this years crop was that other than than "Walk The Line," which I saw and highly recommend and "Good Night and Good Luck," which I've yet to see, I really didn't have any interest in seeing any of the nominated films. Of course, if Brokeback Mountain had been about two cowgirls . . .
Hiya C! Great to see you on the web with your own Blog! The artwork looks great! (as always! )...Take care! Talk soon. Ray F.
Nice piece. 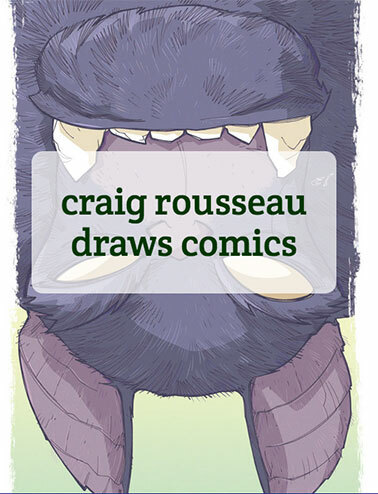 Glad to see that you've got a blog now, craig! and as far as the oscars, i keep telling trish (who watches mainly to see what folks are wearing), i could care less what wins awards since the whole evening is just hollywood celebrating... itself... whipeeedoo... just because you're famous (or not), doesn't mean you have good taste.